For those of you seeking my Zelda credentials, please do check here, here and here. I also reviewed A Link Between Worlds recently. Wednesday’s Nintendo Direct offered a variety of quirky announcements. And while I’m definitely singing praises about NES REMIX and I plan on posting impressions for Yoshi’s Island Zone in Sonic Lost World very soon, I think one announcement stood as the most polarizing from the broadcast. Iwata told us that Nintendo had been working on a game with TECMO KOEI that blends the Warriors franchise with…The Legend of Zelda. The negativity and dissent really surprised me, to be honest. And that’s why I’m speaking my mind. This is the worst idea EVER. Once you’ve played one Warriors game, you’ve played them all! I’ve heard the argument. And it’s not as though Nintendo has never tasked developers with dabbling in the simple hack and slash formula. 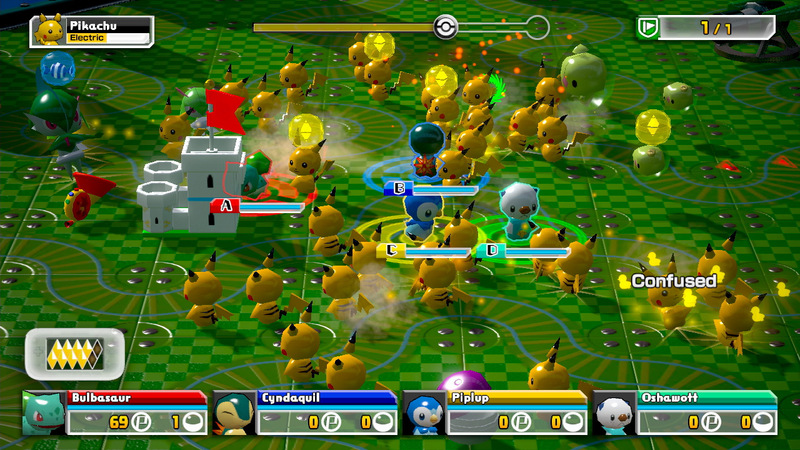 While Pikachu and his friends don’t have swords and other medieval relics to slaughter armies, Pokemon Rumble and its many sequels serve the same sort of purpose as a Warriors game. It’s one (or two, or several) Pokemon versus heaps and heaps of them at a time. And the gameplay, while fun for a few minutes to a few hours depending on your patience, gets stale rather quickly due to a lack of variety. 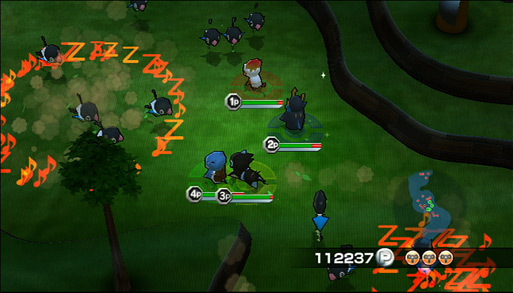 Just check out our review of Pokemon Rumble U. I mean, I get it. This type of gameplay has consistently proven itself to be overly repetitive and…worth making a fuss about if left in the wrong hands. I think there are a few points the naysayers are missing, though. One of them, funnily enough, stays consistent with my Pokemon talk thus far. 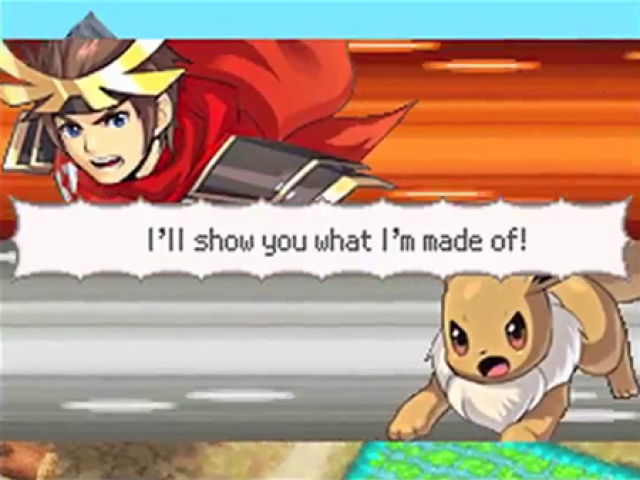 The last major-market Nintendo & TECMO KOEI crossover was…Pokemon Conquest. Talk about two different types of gameplay styles! I still don’t know how the hell they made it work, but man…Pokemon Conquest was an impressive package that breathed new life into both the Pokemon and Nobunaga’s Ambition franchises, respectively. The reason Pokemon Conquest wasn’t a complete failure, the reason they ended up localizing it versus keeping that game Japan-only, was because TECMO KOEI had Nintendo’s guiding hand. 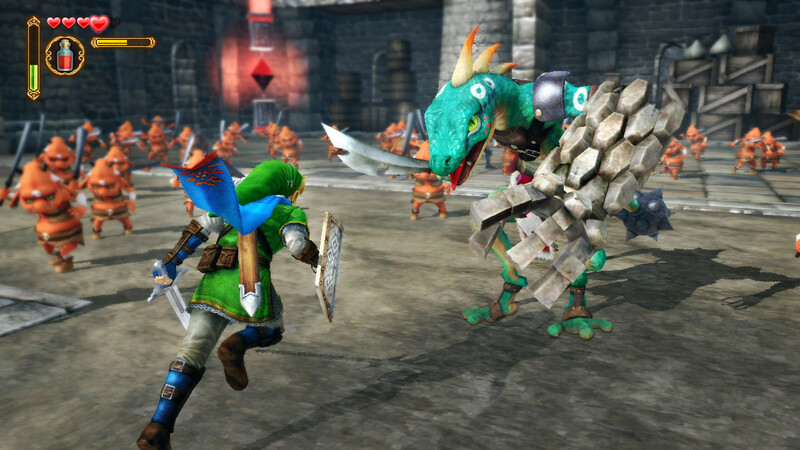 In the case of Hyrule Warriors, I imagine Nintendo will be working even closer with them. This is The Legend of Zelda’s debut on Wii U (assuming you don’t count The Wind Waker HD; this marks the first original Zelda game on the platform), and you’ve gotta think—how much of what we see in this game will carry over to the next canonical Zelda entry? Graphical style, ambiance, some semblance of the battle system…I assume this game serves as a springboard to show devoted fans what Zelda can do on the new next-gen system. I think anyone expecting the gameplay to be stale based on a trailer that was over before I could blink is just a tad too cynical. But hey…let me give you the benefit of the doubt. 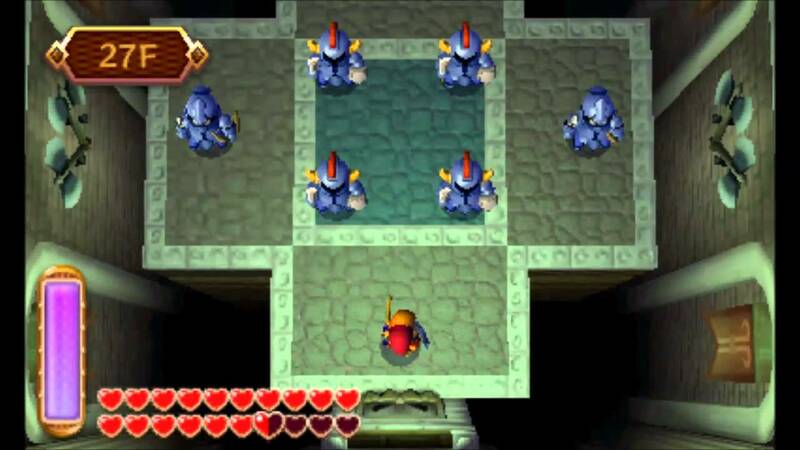 The Legend of Zelda has featured many iterations of a “Battle Tower” that pits Link against countless foes. The most recent example of this phenomenon is the Treacherous Tower from A Link Between Worlds. Challenging, sometimes downright cruel—but the whole point is Link vs. 100 (or more). Why can’t this concept work on a grander scale? If Nintendo fine-tunes the Warriors gameplay to complement a tuned up Zelda battle system, would that really be a bad thing? To be honest—the second thing I thought after seeing that trailer was “This is Nintendo’s first real chance for online co-op in a(n albeit unconventional) Zelda game.” Could you imagine the Horde Mode of your traditional first-person shooter, but… with Zelda gameplay? You and your friend(s) against entire heaps of foes? I know sometimes I have expectations that swing a little on the unrealistic side, but… Hyrule Warriors has the potential for greatness. Zelda certainly fits better with Warriors than Pokemon with Nobunaga’s Ambition. Perhaps the reason I’m standing on this soap-box is to ask dissenters to have a little faith. 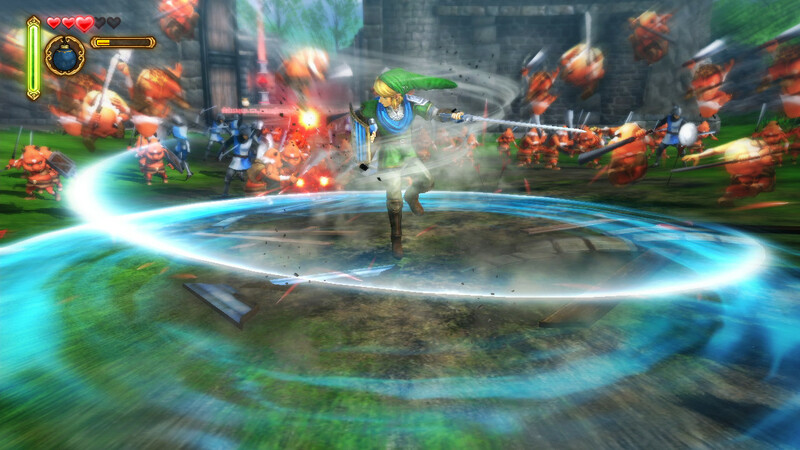 Hyrule Warriors isn’t going to be like a CDi Zelda game. Times have changed, I think. …What this may end up doing, however, is setting some sort of precedence for how good Shin Megami Tensei X Fire Emblem could be. The hyped should get hyped’er. I think Hyrule Warriors will do exactly what Pokemon Conquest did, with even better results—refresh admittedly tired gameplay elements (depending on who you’re talking to) with the things/innovations that make the Nintendo games you love so much so incredible.